This is an exercise in "painting with light". 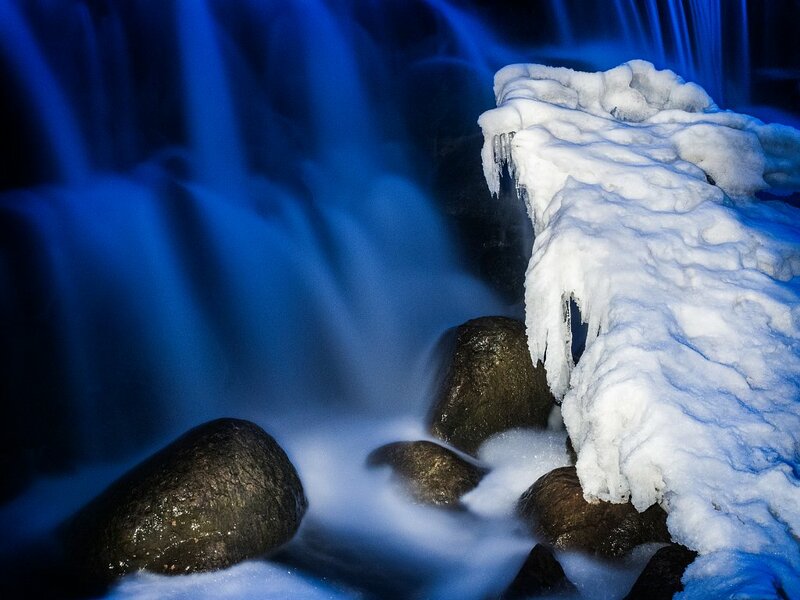 I used an ordinary six volt flashlight to illuminate the ice and rocks. The camera was firmly mounted on a tripod and the shutter stayed open for 60 seconds allowing me plenty of time to "paint" the scene. I adjusted the white balance of the ice using Adobe Lightroom. This forced the color temperature of the water to go blue.